Home bin hammam blatter fifa gulf platini qatar winter world cup Could the Qatar World Cup be the beginning of the end for Blatter? 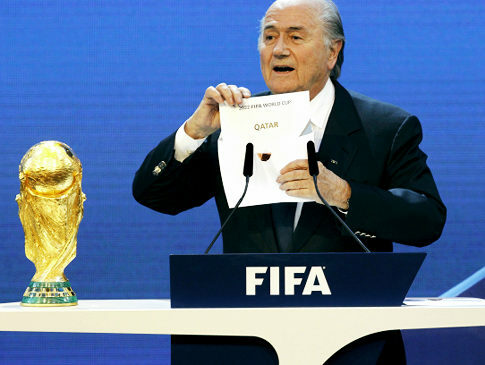 Could the Qatar World Cup be the beginning of the end for Blatter? Ever since the decision to award the 2022 World Cup to Qatar on December 2nd, controversy has swirled around the details of the tournament. From arguments over moving it to the winter to expanding it to make it a Gulf World Cup, FIFA have proved once again that nothing is simple and straightforward when it comes to dealings within the governing body of world football. When Qatar was announced as the hosts of the 2022 World Cup, people around the world were stunned. Having started the process as huge outsiders, they had launched the most extraordinary campaign to position themselves as serious contenders. In true Qatari fashion, the level of spending on the campaign dwarfed anything that has ever been seen before. England’s 2018 campaign budget of £15m over the two year process was seen as being a huge amount of money, but the details of the Qatari spending are just being revealed. In 2010 alone, it budgeted an incredible £27m on communications alone. This one-year communications budget was greater than the entire budget of all the other bids, with the exception of Australia. The bid proposed a number of investment opportunities in foreign countries. They offered to bail out the entire Argentine Football Association in 2009 following a financial crisis that had hit the organisation, including the option that Al Jazeera could buy the television rights for the league. A new football academy in Thailand was proposed and scouting opportunities in Nigeria were expanded. A curious mix of countries until we look at what they all have in common. 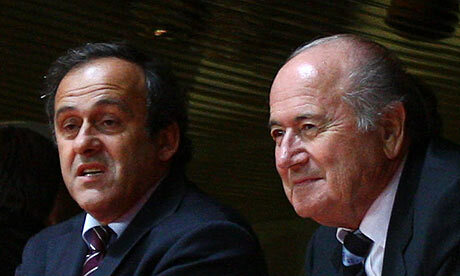 They are each home to a member of the FIFA Executive Committee. 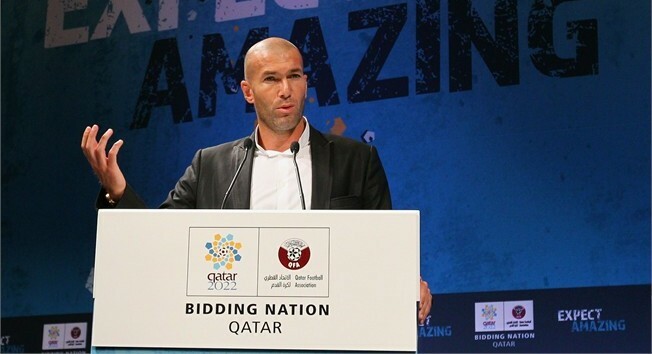 They spent over $7m on recruiting ambassadors for their bid, including Gabriel Batistuta, Zinedine Zidane, Ronald de Boer and Roger Milla. They also offered a proposal to move the Asian Football Federation headquarters to Doha, including the free use of an entire tower block, residential property, diplomatic cars and the use of a private jet. They even sponsored the Conference for the Confederation of African Football last year to guarantee themselves exclusive rights to present their bid to delegates. Whilst the Qatari bid did not break any of the regulations, the sheer scale of it is almost unbelievable. Since winning the bid, Sepp Blatter has been proposing a radical shake-up by switching it to the winter to solve the issue of the summer heat. However, this has been met with a great deal of opposition from virtually all of the major European leagues, whose seasons would be hugely disrupted by the change. The most interesting opposition to the switch comes from Qatar itself. 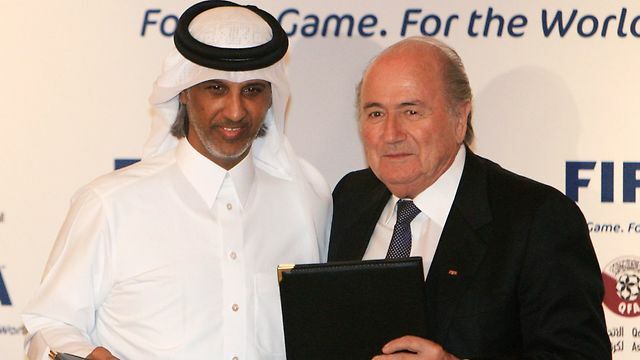 Mohammed Bin Hammam, the Qatari President of the Asian Football Confederation, has refuted Blatter’s suggestion that it be moved to the winter. He has also come out strongly against Michel Platini’s suggestion that the matches should be spread out amongst the Gulf nations. Indeed, there have been leaks suggesting that Blatter and Platini had already discussed the option of moving the World Cup to the winter even before the decision to award the tournament to Qatar had even been made, leading some people to suggest that the Qatar bid was based on a false prospectus. However, bowing to pressure from the major European leagues, Blatter has stepped back and admitted that FIFA do not have the power to shift it themselves – the move must be instigated by the Qataris themselves. Not only this, but there are even reports that Blatter and Platini are working on a plan to try and permanent move major league football to the summer, with international tournaments and qualifying all being played over the winter period. Virtually all the major European leagues have already come against strongly against this and any attempt by FIFA to force it through could lead to a major split between domestic and international footballing bodies. And the growing dispute between the side of Blatter and Platini, and Mohammed Bin Hammam will provide a fascinating backdrop to the FIFA Presidential elections next year. 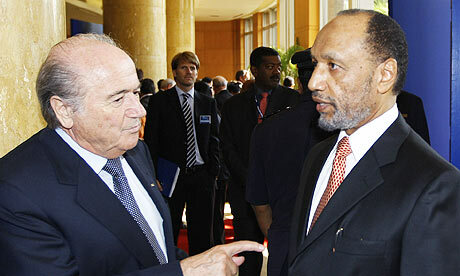 Sepp Blatter is running for a fifth term, whilst Bin Hammam is expected to be his most dangerous rival. “We submitted a bid suggesting we are going to be ready in June, July. And we said we are going to face all the challenges and we are going to meet all the requirements. Our focus is June, July. It is never our interest to change one week beyond June, July. “I know, from the bottom of my heart, there are a lot of stakeholders who should be consulted and their views brought to the table. It’s not up to one, two or three members of FIFA to talk about changing the time without getting the real stakeholders’ opinions. It is clear that Bin Hammam is positioning himself for a serious campaign to oust Blatter. Statements on FIFA’s need to reform from within and how the leadership need to take a serious stance can clearly been seen as barely-veiled attacks on Blatter. There is growing discontent within certain segments of FIFA over the virtual dictatorship of the Swiss septuagenarian, who has ruled FIFA for over twelve years. His announcement that FIFA were considering a winter switch came as a surprise to many within FIFA, including members of the executive committee themselves, raising concerns that he was developing his own personal strategy on the fly. The corruption exposure in recent months has besmirched the name of FIFA and Blatter shows little interest in confronting the issue. A week ago, a senior member of FIFA’s own ethics committee resigned claiming that "FIFA has no real interest in playing an active role in the resolution, pursuance and prevention of violations of its ethics code.” Indeed, only days ago, Sepp Blatter claimed that there were no plans for an anti-corruption unit within the organisation. Mohammed Bin Hammam’s opposition to a winter world cup has reportedly won him the support of the major European federations, and he is rumoured to have agreed an alliance with the powerful Michel Platini. With his Asian connections and the Middle Eastern contacts built up in Africa during the Qatar bid, he looks well set to provide a very dangerous challenge to Sepp Blatter in the coming elections.